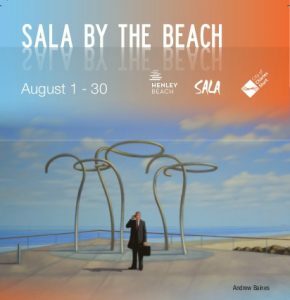 Many of the shops, restaurants and cafes in Henley Beach are exhibiting a variety of art during this year’s South Australian Living Artists Festival. Some are also holding their own openings during August, and you are invited to attend. The Art Gym, Seaview Road, Opening Friday August 3rd, then open 12th (11am-12pm), 19th (3-4pm) and 24th (5.30-6.30pm. Phone Yuli on 0447 739 380 for further info.